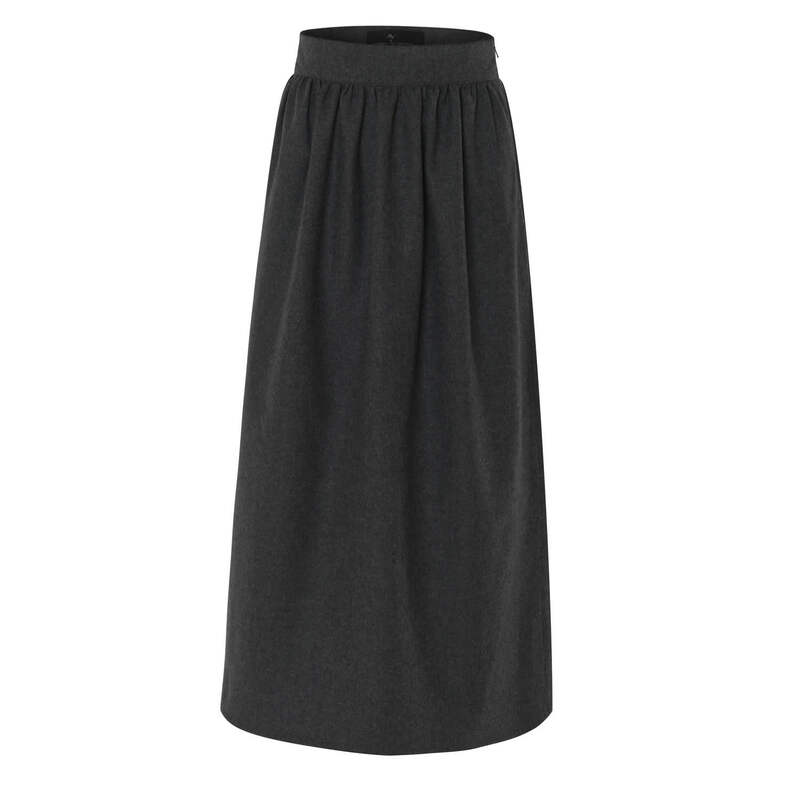 Cut from soft British wool, this midi style is designed to sit on the narrowest part of your waist. Lightly gathered waist line looks equally stylish paired with a tucked in top or a loose jumper over it. Concealed side zip.